KSB publishes up-to-date press releases sorted by date. On January 25 and 26, Mr Rene Kopp, head of Life Science product from Headquarters set his foot in the Philippines for the first time to introduce KSB’s Vita series product to the largest Food and Beverage manufacturers in the Philippines. San Miguel Food Inc., Universal Robina Corporation, Nestle Philippines and Del Monte. Poor family children living in remote area in Kratie province of Cambodia walk more than 1 hour from home to school every day. With the support from local Government, KSB donated 145 bicycles to needy families and students from 5 primary schools in Kratie province. The event took place at Chambok High School on 1st November, 2014. His Excellency NGY Tayi, Secretary of State Ministry of Economy and Finance, Cambodia, was invited as Guest of Honour to witness the donation. 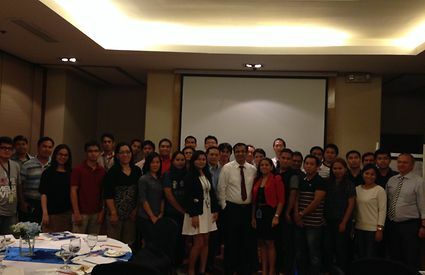 KSB Philippines, Inc. held a technical seminar on KSB Pumps and Valves for Building Service and Construction on 11 September 2014 at Crowne Plaze Manila Galleria. 30 consultants, developers, contractors and dealers attended the event and interacted with experts from KSB to discuss about the advanced solutions from KSB and how we can better support our customers. Mr. Mewes Frank, Director of KSB Building Service product from KSB Germany, Mr. P.V. Shirgaonkar, Managing Director of KSB Philippines and Mr. Liu He, Regional Business Development Manager from KSB Singapore (Asia Pacific) Ptd Lte were invited to share with participants on the KSB technology and industry trends. KSB Aktiengesellschaft, Frankenthal, will be debuting the latest version of its motor-mounted speed control system for centrifugal pumps at this year's Hannover Messe. KSB Aktiengesellschaft in Frankenthal will be showcasing PumpDrive Eco for the first time at this year's SHK and IFH trade fairs in Essen and Nuremberg, respectively. 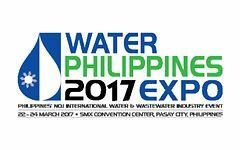 On 22-24 March 2017, KSB Philippines, Inc. will participate in Water Philippines 2017 Expo, the the Philippines' Leading International Water Supply, Sanitation, Industrial Wastewater Treatment and Purification Event is making its 4th edition at the SMX Convention Center, Pasay City, Metro Manila, Philippines. Visit Us at booth P5 hall 2 of SMX Convention Center, Moa, Pasay City.